The Sony PSP, which is short for PlayStation Portable, was a handheld game and multimedia entertainment console. It was released in Japan in 2004 and in the U.S. in March of 2005. It featured a 4.3-inch TFT LCD screen with a 480x272 resolution, built-in speakers and controls, WiFi connectivity and impressive graphics processing power for a handheld device of the time, edging out its competitor the Nintendo DS in this area. 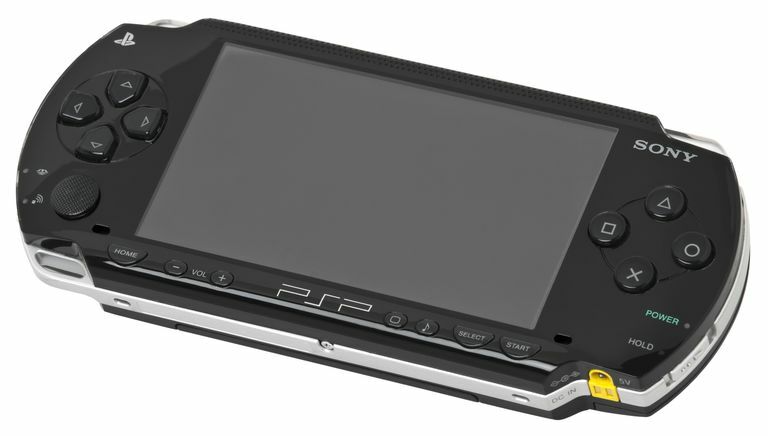 The PSP was not as powerful as its full-size console cousins, the PlayStation 2 or the PlayStation 3, but it surpassed the original Sony PlayStation in computing power. The PSP went through several generations during its 10-year run. Subsequent models reduced its footprint, becoming thinner and lighter, improved the display and added a microphone. A larger redesign came in 2009 with the PSPgo, and the budget-conscious PSP-E1000 was released in 2011 with a lower price point. Shipments of the PSP ended in 2014, and the Sony PlayStation Vita took its place. All models of the PSP could play games from UMD discs except the PSP Go, which did not include a UMD disc player. Games could also be purchased online and downloaded to the PSP from Sony's online PlayStation Store, and this was the primary method for buying new games on the PSP Go. Some older PlayStation games were re-released for the PSP and were available through the PlayStation Store. The original PSP launched with 25 game titles, such as "Untold Legends: Brotherhood of the Blade," "FIFA Soccer 2005" and "Metal Gear Acid." These represented a range of game types, from sports to racing to adventure and roleplaying. As with the full-size PlayStation consoles, the PSP could do more than simply run video games. While the PS2, PS3, and PS4 can play discs such as DVDs, audio CDs and eventually with the PS4 Blu-ray Discs, the PSP played discs in the Universal Media Disc (UMD) format, which was also used for some movies and other content. The PSP also featured a port for Sony's Memory Stick Duo and Memory Stick Pro Duo media, allowing it to play audio, video and still image content from these as well. With an upgrade to firmware, the PSP-2000 model added TV output via Composite, S-Video, Component or D-Terminal cables from Sony that were purchased separately. TV output was in both standard 4:3 and widescreen 16:9 aspect ratios. The PSP included a USB 2.0 port and a serial port. Unlike the PlayStation or PlayStation2, the PSP came equipped with Wi-Fi, so it could connect with other players wirelessly and, if your firmware is version 2.00 or higher, to the internet for web browsing. It also included IrDA (infrared data association) but it was not used by the average consumer. The later PSP Go model brought Bluetooth 2.0 connectivity to the game system.